In celebration of National Shark Week, UCTV visits the Birch Aquarium to hear from an expert on leopard sharks, Andy Nosal, a Ph.D. student of Scripps Institution of Oceanography. 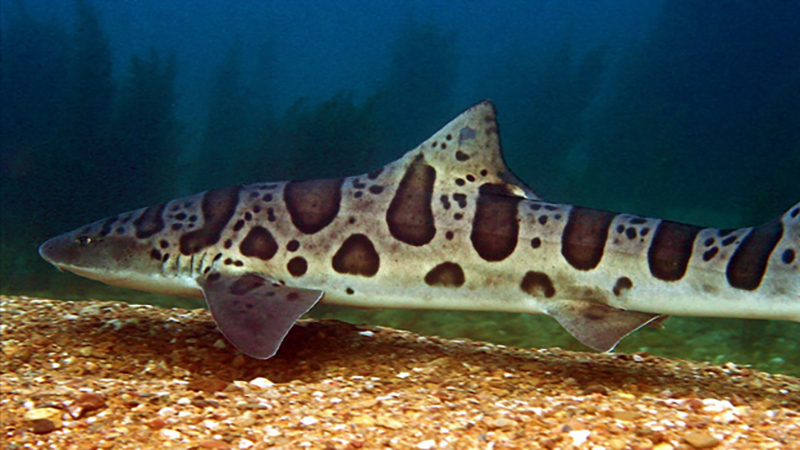 Leopard sharks are a special species of shark found only along the West coast of North America, their territory spanning from Washington to Baja California. A distinctive characteristic of these creatures is their mild temperament. Unlike most sharks, which will bite anything that might be food, leopard sharks are timid and have such small mouths that they pose essentially no danger to humans. In fact, a leopard shark bite on a human has never been recorded by the International Shark Attack File. Every Summer La Jolla Shores is the gathering site of hundreds of leopard sharks. A common misconception of this behavior is that these sharks convene here to mate or give birth, but in fact scientists are not quite certain what they do at this annual conference. Watch “Local Legends: The Leopard Sharks of La Jolla Shores” to see what Nosal has determined about why these sharks flock to La Jolla Shores and what they do there. Check out more programs about sharks. 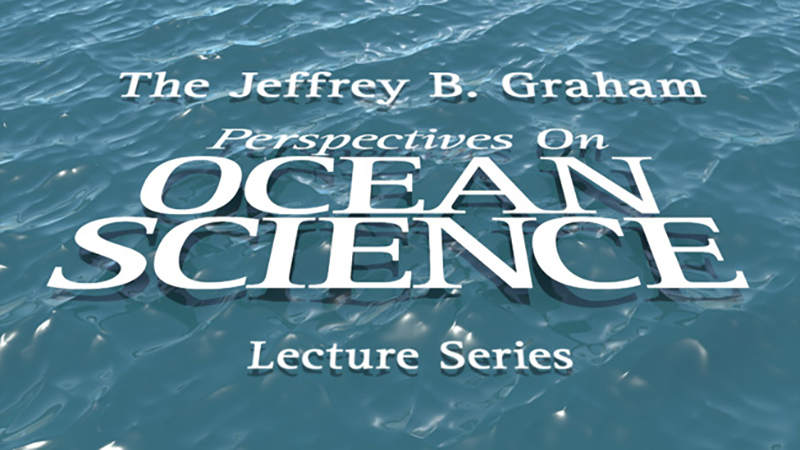 See what other programs are available in the Perspectives on Ocean Science series! 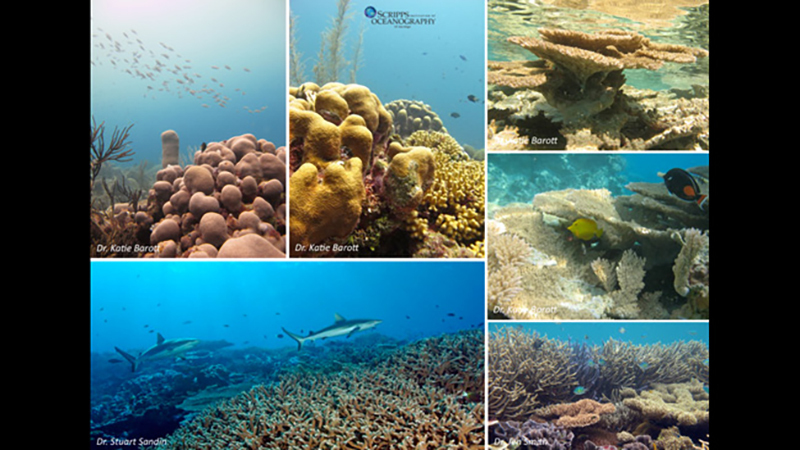 Ocean Science Surpasses 10 Million! When people want to learn about the ocean, they turn to Birch Aquarium at Scripps’ “Perspectives on Ocean Science” lecture series, available on TV and online through UCSD-TV and its sister station, UCTV. How do we know? The collection of 130+ videos, available on the channels’ websites, YouTube and iTunes, just surpassed 10 million views, making it UCSD’s most popular science series and UCTV’s 14th most popular series, out of a whopping 350! 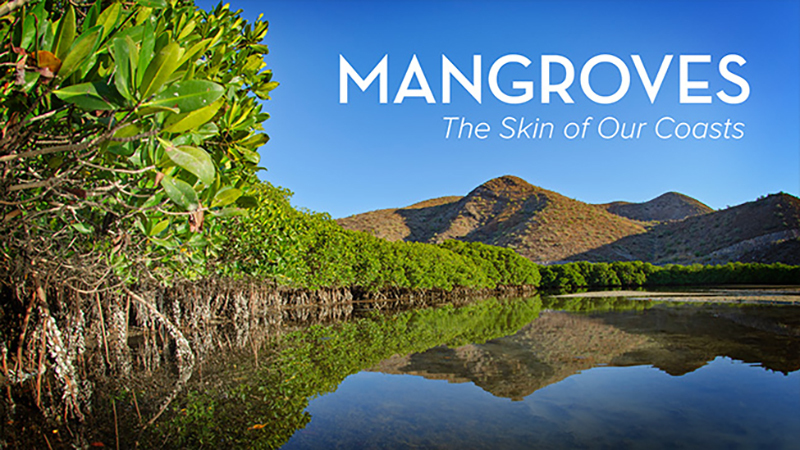 Learn more about this accomplishment and the importance of Birch Aquarium‘s public outreach program, then dive in to the “Perspectives on Ocean Science” video archive! Stay tuned April 10 at 8pm for the TV premiere of the latest installment, “Genetics and Gray Whale Behavior,” which is also available online now. Climate warming due to increased carbon dioxide in the atmosphere is only part of the “CO2 problem” affecting life on the planet. In fact, much of the CO2 emitted from burning fossil fuels is absorbed by the ocean, causing ocean acidification, a chemical phenomenon threatening marine life. Tune in to UCSD-TV tonight (Jan. 9) at 8 for “Ocean Acidification: Can Corals Cope?” from the Perspectives on Ocean Science series to hear Scripps marine biologist Martin Tresguerres describe research into the potential impact of ocean acidification on corals, and the mechanisms these amazing marine animals use to try to cope with the problem. Or just watch it online now! 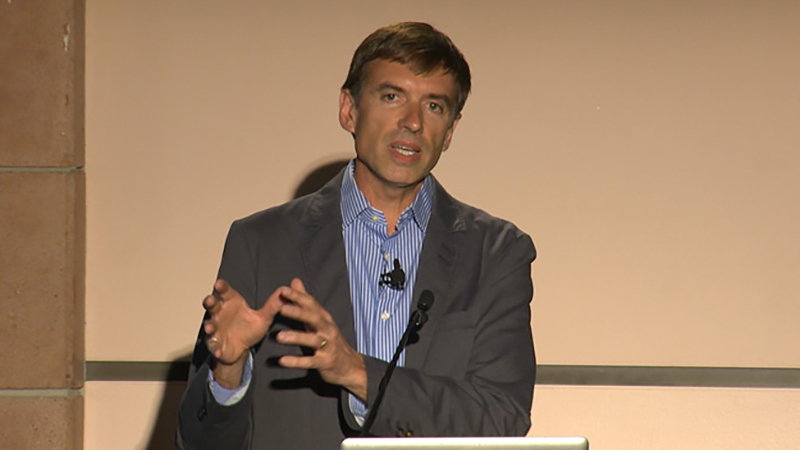 Author UCSD-TVPosted on January 9, 2013 Categories Perspectives on Ocean Science, Science, UC San DiegoTags climate change, CO2, coral, global warming, Martin Tresguerres, ocean, scripps institution of oceanography, UC San Diego1 Comment on Ocean Acidification: Can Corals Cope?